You can now run many Android Apps on Chromebooks. See the best Chromebooks for running Android Apps. Running Android apps is huge news for the Chromebook community! At a 2016 Developers Conference, Google announced that it would bring its Android app and Google Play Store ecosystems to Chromebook and ChromeOS. This greatly increases how Chromebooks can compete with MacOS and Windows. In fact, Google released a video showing how Android apps work on Chromebooks. Many users are very excited to see what kind of changes that this brings. Hopefully there will be many more Android apps on Chromebook soon. The way this is possible is accessing the Google Play store through the ChromeOS. Google is starting to roll out this feature in many different Chromebooks starting in late 2016 (currently not all Chromebook models support Android Apps). Remember that is not a new operating system. Chrome OS is just being updated to support the running of Android apps and the Google Play Store. Most users will just notice a new icon in their toolbar. Other users will be able to take advantage of running more Android apps on their Chromebooks and making their computers much more useful! Thousands applications in the Google Play Store will now be available for Chromebook users and thus increases the attractiveness and usability of the devices. There are many powerful apps available for Android that make ChromeOS and serious Windows/OSX alternative. This is especially true in the Chromebook education market. To make everything run quickly, the Chromebooks do not emulate the apps in ChromeOS but rather run them directly – this is likely to deliver good performance and great compatibility. However, there is still a catch, because the the newest version of Chrome OS supporting Android apps does not work on all Chromebooks. Google is expected to bring complete Chromebook support of Android apps to future versions of the Chromebooks. Almost all future Chromebooks will be able to run Android apps natively. Google is slowly increasing available to more Chromebooks. Eventually Chromebooks made by lenovo, ASUS, Acer, Dell, Samsung, Toshiba, and HP will be able to run Android apps in the Google Play Store. Users of these Chromebooks will have access to thousands of more applications and uses for their computers. Again, it is expected to be normal going forward to almost all Android apps to run on all Chromebooks. All Chromebook users will then be able to access the Google Play Store. Chromebook users who have supported hardware need to change to the Chromebook Beta mode to use this special version of ChromeOS. You can run Android apps on your Chromebook with the App Runtime for Chrome (Beta) which can be accessed from Google’s website. This feature works on some Chromebooks running Chrome OS version 37 and higher. Remember, you must be using the beta version of ChromeOS in order to run Google Play. Otherwise, you cannot run Android apps on your Chromebook and will not even be able to see the Google Play store. Again, this will change when all Chromebooks can run the Google Play store and run Android apps on a Chromebook. 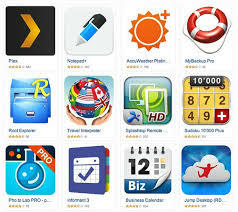 Browse the Android Apps & Games Collection. If you’re not on a Chromebook, you won’t be able to see this collection. It is that easy to run Android apps when you are running the correct version of ChromeOS. More and more Chromebooks will support this feature going forward. Do Android Apps run well on Chromebook? The more popular Android apps should run without any problems. It seems that Google has been preparing for this and has helped developers improve their apps to run on Chromebooks. By using the Google Play Store app on Chrome OS, you can browse Android’s app store just as you do on Android devices, and then install and run any apps you find there. There are some problems reported with Android apps on Chromebooks. For example, many users of that Netflix are noting problems with streaming movies. Also features such as screen rotation and adjusting the window size seem to have errors. Some (few) apps don’t start at all! It is therefore safe to assume that Google will be working to fix these errors. The Android framework generally integrates nicely with Chrome OS. Importantly, many more Android apps do work offline and they will continue to work offline while running in Chromebooks. This can be useful when you do not have internet access and still want to use your Chromebook. Having Android Apps run natively is big news for the Chromebook community. By having Android apps, you get incredible access to the wealth of apps on the Play Store, and the apps themselves work very well. This allows Chromebooks to compete much better with Windows and MacOS. There can still be problems running Android apps on ChromeOS. For example, there are problems with notifications, and sometimes you’ll experience an app crash or freeze. Remember that this is still an early release. You also either have to run the apps in full screen mode or in a window with a fixed size. Things will get better and soon Android apps might become the norm on Chromebooks. Google Play Store on Chromebooks!